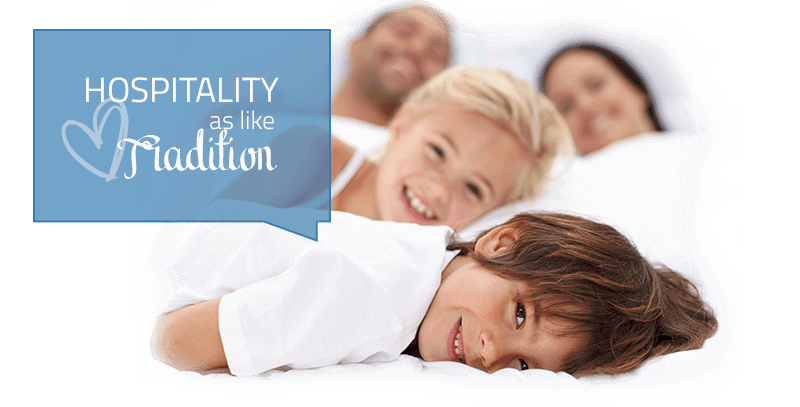 from suites to comfortable and spacious family rooms. 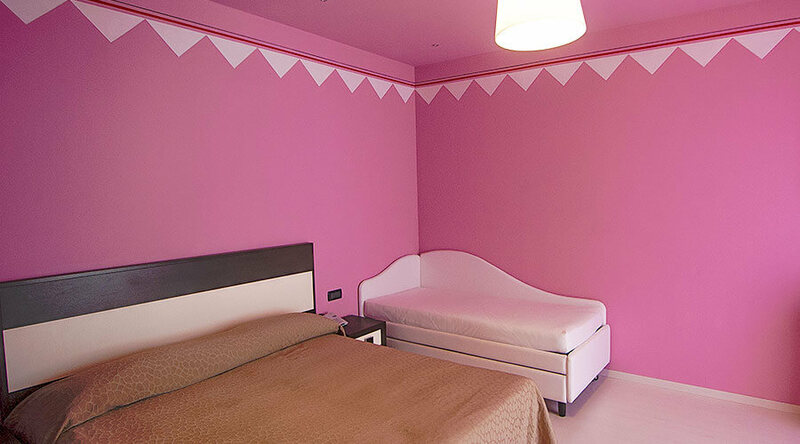 and for the children safety. 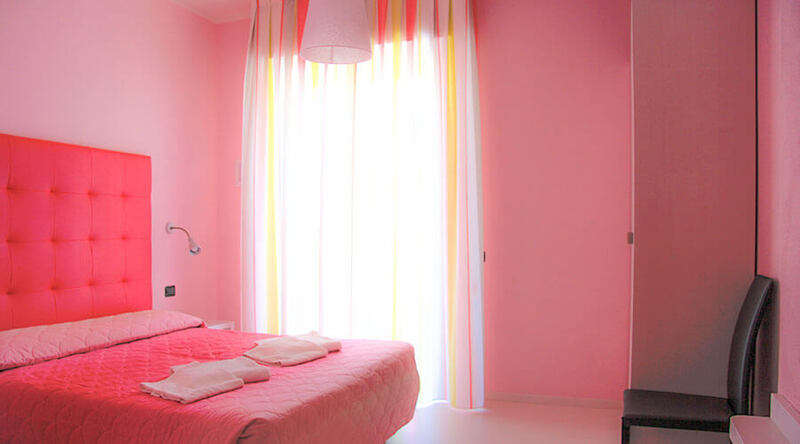 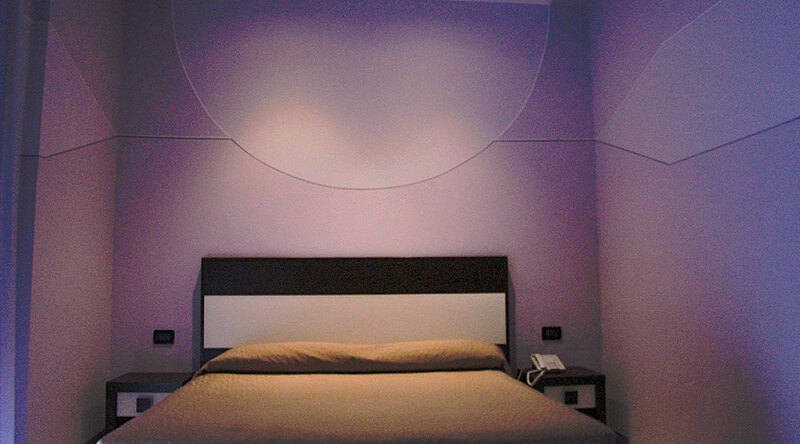 19mq room, completely soundproofed and equipped with: • electric blinds • sofa • TV HD 32” • safe • minibar • balcony • telephone. 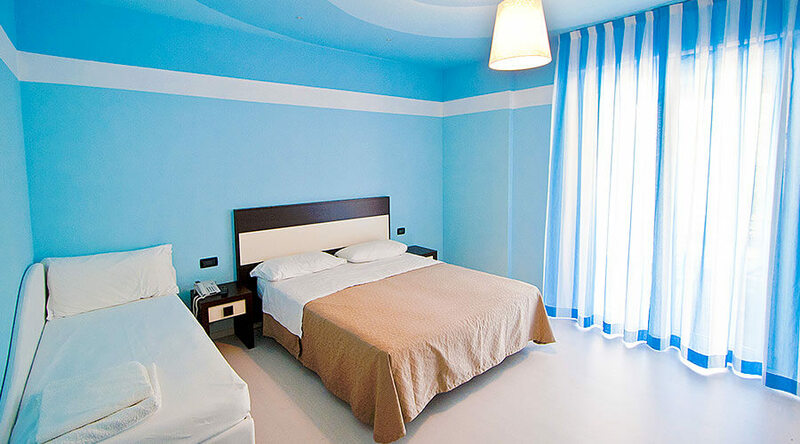 Wifi and air conditioning (all inclusive). 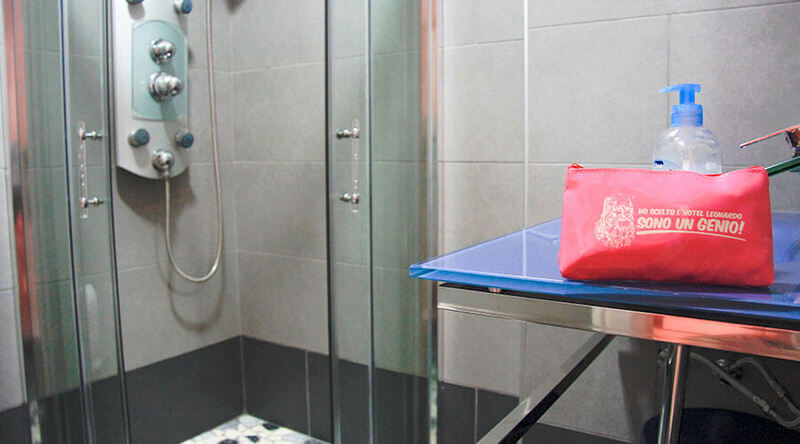 The bathroom is equipped with: • large shower or bath • hydro • makeup mirror • balance • hairdryer. 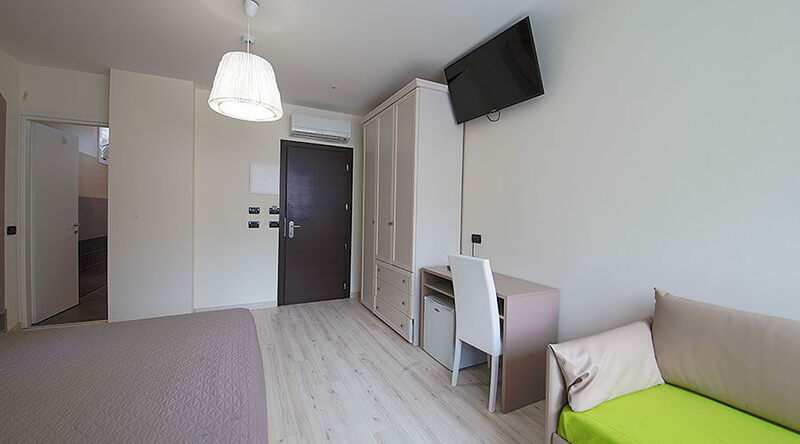 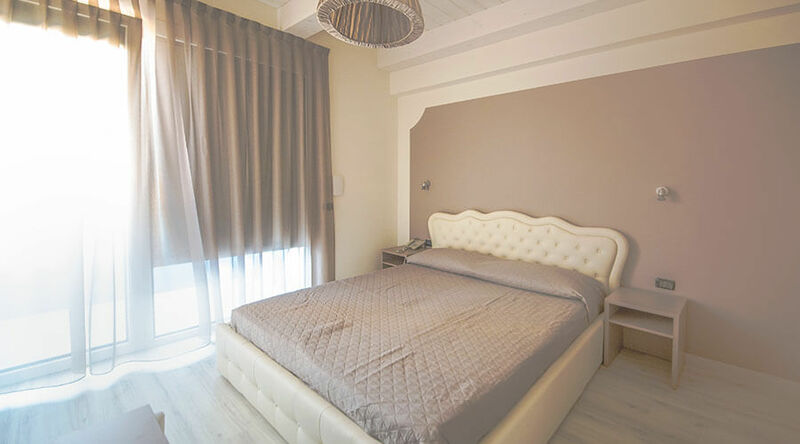 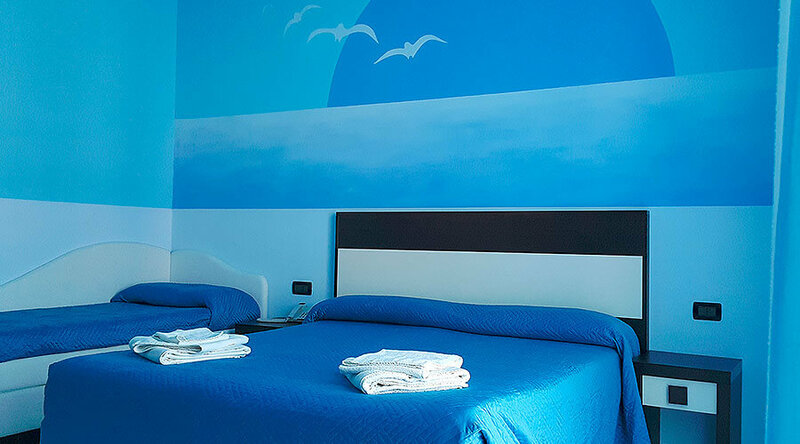 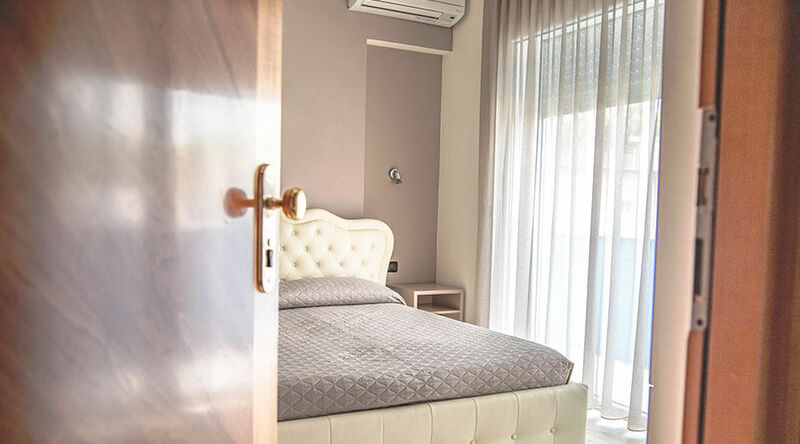 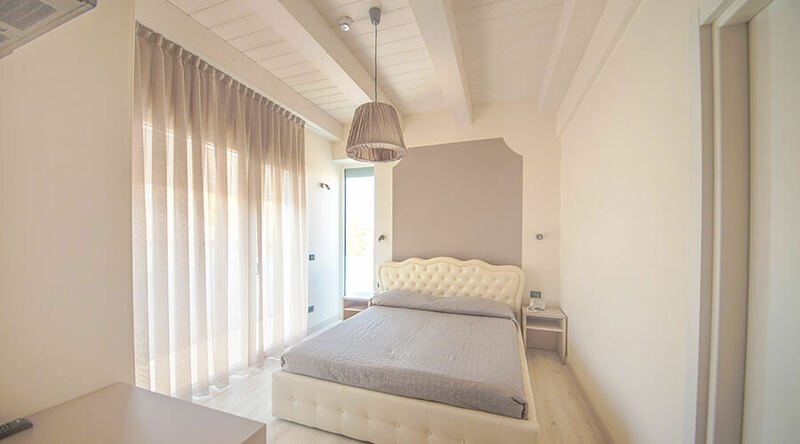 Double, triple and quadruple rooms furnished with care, completely soundproof and equipped with: • electric shutters • 32 "HD TV • safe • minibar • balcony • telephone. 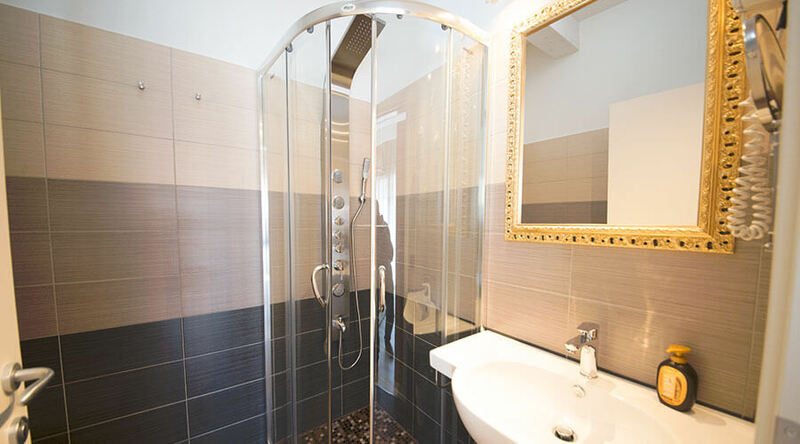 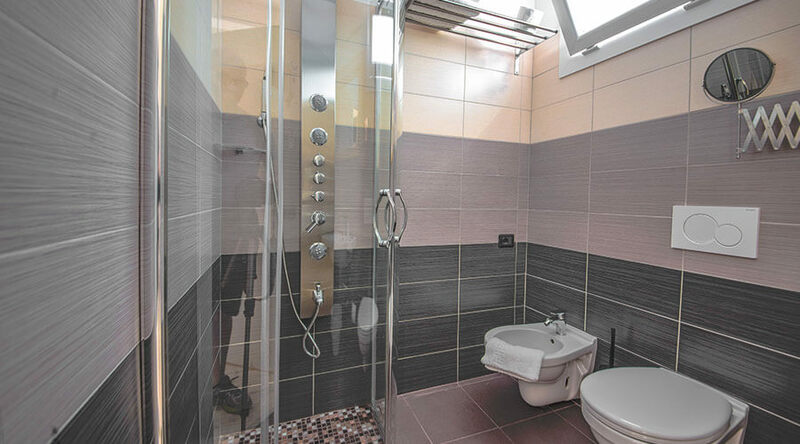 Elegantly renovated bathroom with: • shower cubicle • hydro shower • cosmetic mirror • scales • hairdryer. 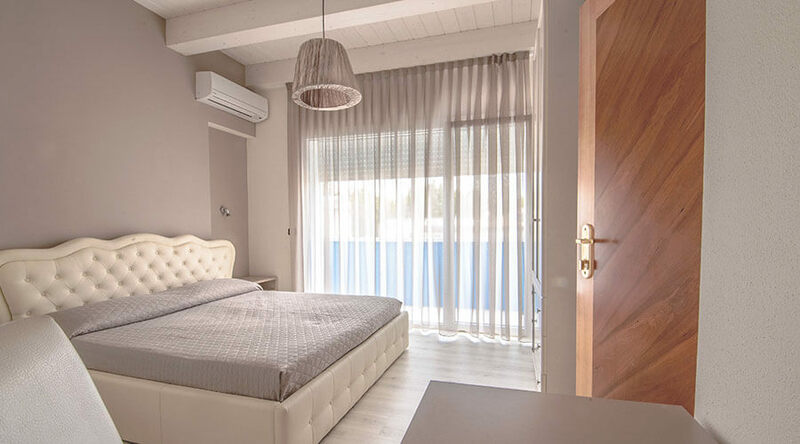 24 mq rooms fully soundproofed and equipped with: • kitchenette equipped with a bottle warmer and kettle • air conditioning • electric blinds • sommiers beds • sofa • TV HD 42” • safe • minibar • balcony • bathroom with large shower or bath • cosmetic mirror • balance • hairdryer. 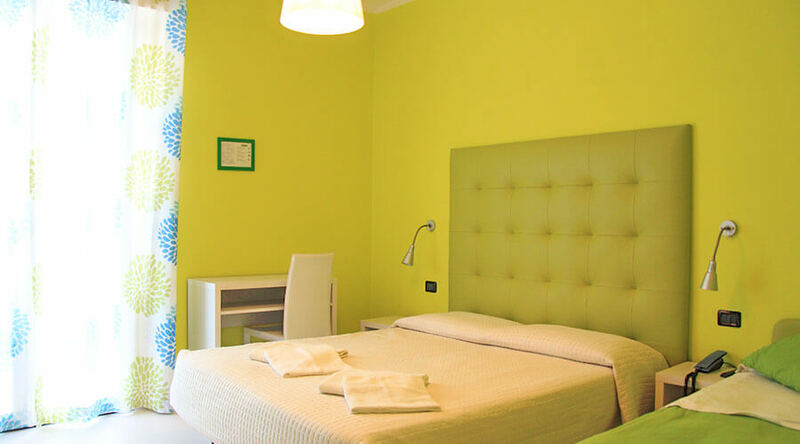 Our Family Rooms are ideal for families, can accommodate up to 5 people. 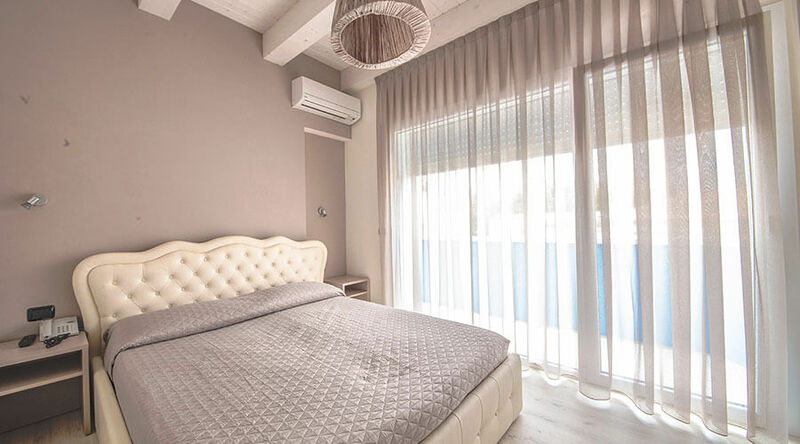 22/24 mq rooms completely soundproofed and equipped with: • kitchenette • air conditioning • electric blinds • sommiers beds • sofa • TV HD 42” • safe • minibar • balcony • bathroom with large shower or bath • makeup mirror • balance • phon. 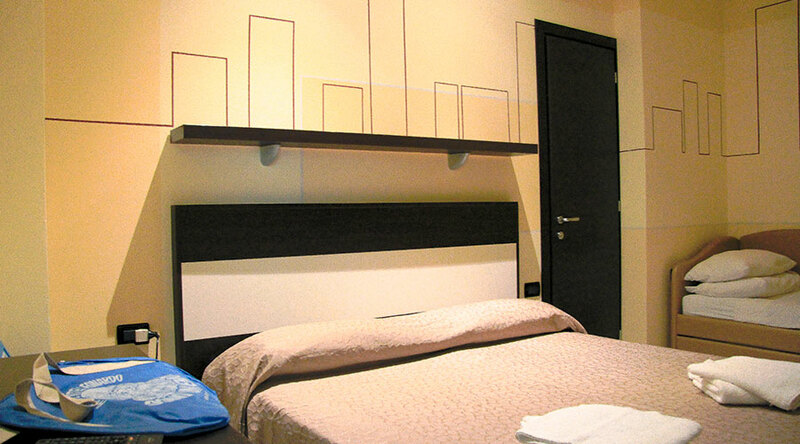 Our Residence Rooms can accommodate up to 5 persons and include daily cleaning and breakfast at the hotel!